Kick-off the football season with your furry best friend in support of St Francis Farm Animal Sanctuary! St Francis Farm Animal Sanctuary is a local 501c3 that helps those animals that cannot thrive in a traditional home due to behavioral or medical issues. It acts as a transitional home to hundreds of animals every year on their way to foster or forever homes. Currently, the farm is home to over 100 dogs and 40 cats. Come check out the raffles from local Charlotte businesses! 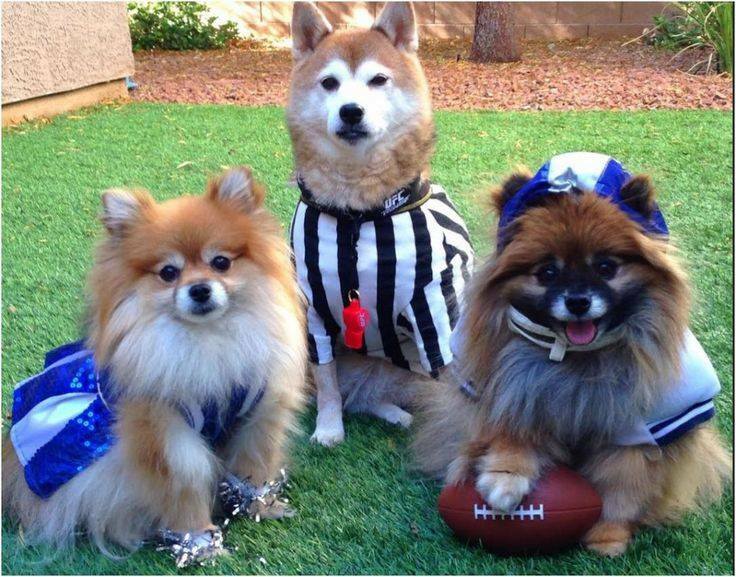 Make sure to dress your pup up in their favorite football uniform or cheerleader outfit to be entered into a giveaway! St Francis Farm will have residents present to love on! Come join the fun and kick-off football season for a good cause! PLEASE NOTE : We are a 21 and over facility, so furry children only PLEASE! All dogs that wish to attend must be fixed, friendly and up to date on all shots. If your pup is less than 6 months of age, then they are not required to be fixed. I know it feels like fall is far away but it will be here before you know it and so will the pumpkin beer. Don’t worry, the breweries will have a mix of all kinds of beers! $20 Early registration, $30 the day of. That way we know how much beer to have. The breweries did a great job of not running out and we never over sell tickets to make sure the lines are short and the beer is flowing! If you are bringing a dog – please note, this will be a very loud and crowded day. Its always OK to come WITHOUT your dog if you don’t think they would do well in a very high energy event. We will have food trucks ready to feed you lined up and more of them this time so they can feed you faster. 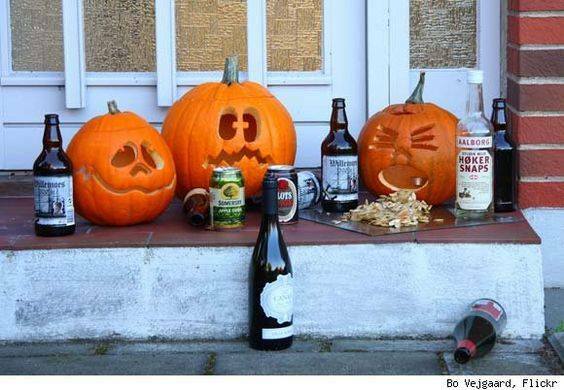 Tickets can be found at Eventbrite here: https://www.eventbrite.com/e/drunken-pumpkin-fall-beer-bash-tickets-35801001760 (or in the ticket section attached to this event) Please note all tickets are non refundable. 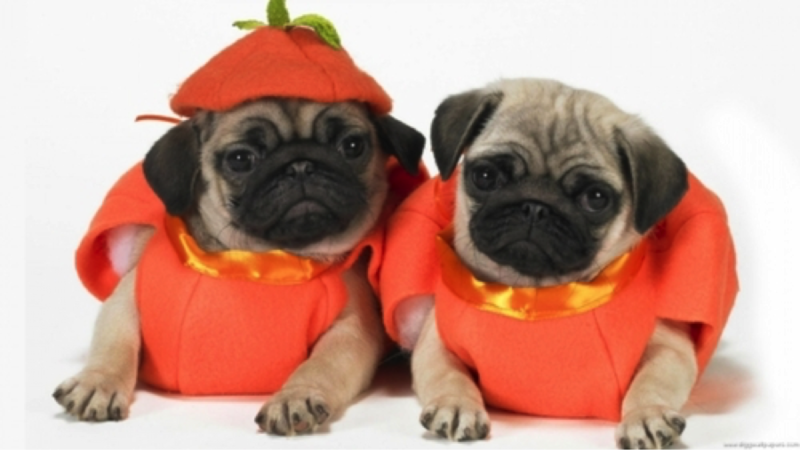 Come join us for our first Pug-O-Ween to benefit the Mid Atlantic Pug Rescue! Calling all Pugs and all pups that like pugs. 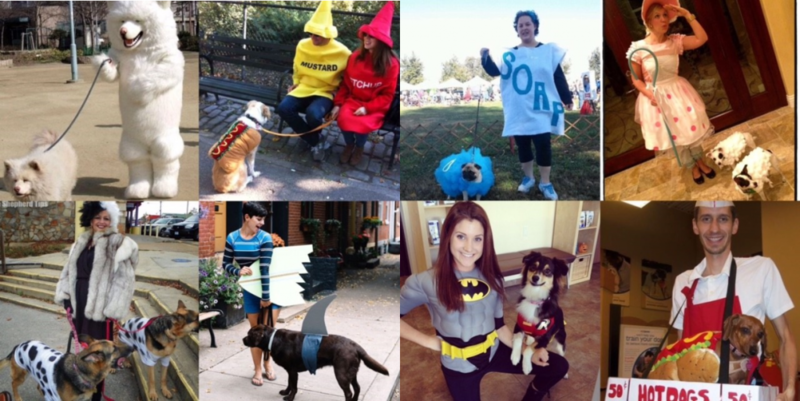 We will be hosting a costume contest for the pups, bobbing for beers and so much more! As always, 10% of all bar sales during the event will be donated back to the Mid Atlantic Pug Rescue as well as any donations collected the day of. The recommended donation to enter contest is $10. 100% of this money will be directly given to Mid Atlantic Pug Rescue! Costume contest will begin at 7pm. We will remind everyone 30 mins prior to get your costumes ready. The contest will be in the small dog indoor area so get a spot outside of this area early so you can watch. Only contestants will be in small dog area. When you sign up, you will be given a number and then line up numerically so we can get everyone through. 3rd Place winner gets 2 Full Bath certificates. All dogs are welcome to enter! We will have goodies for sale, awesome drink specials and food trucks too! 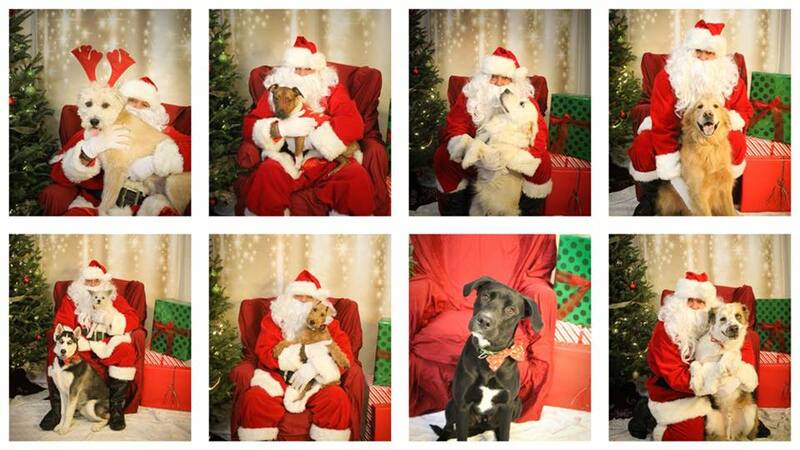 PLEASE REMEMBER – We are a 21 and over facility so furry children ONLY and you MUST bring a valid ID with you to enter. If you are bringing a pup, make sure they are fixed, friendly and up to date on all shots. If you can’t make it to our Pug O Ween or if you just love dressing up with your dog, join us for our official Pawty where the people can dress up too! There will be a FREE Photo booth courtesy of @Benjamin June and Adrienne Casanova Real Estate of Keller Williams. All dogs are welcome as long as they are fixed, friendly and up to date on shots. 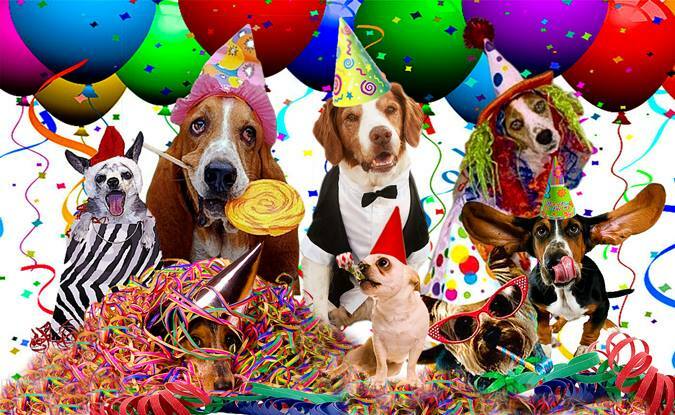 COME JOIN THE GREATER CHARLOTTE SPCA FOR THEIR CALENDAR LAUNCH PAWTY! We’ve found the hunks, taken the photos and built the calendar- now let’s celebrate our hunky dog dads with a party to launch this calendar! Calendars will be available for sale with many of the hunks there to sign their month! We have special “Party hosts” on site featuring pet and human related goodies and services that have helped make this event possible. Adoptable pets will also be on site for those hunky guys or gals looking for a special new fur child. Come on down to grab a calendar, meet some of the hunks in person and have a drink to celebrate with us! 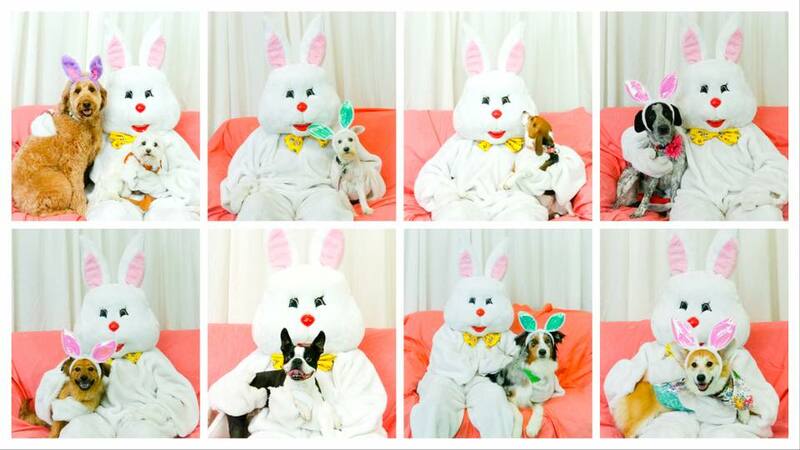 *This is a 21+ event (must have a Valid ID) where dogs are free to join their owners. Please note, all dogs must be Fixed, Friendly and up to date on all shots! Have you ever wanted a portrait painting of your pup? Well we have the event for you! Join us as we partner up with Family Addition Dog Rescue of Charlotte and The Tipsy Paintbrush for our St. Puppies Day paint your pup night! Tickets for the painting class are $45 and 1/3 of proceeds go to support Family Addition Dog Rescue of Charlotte! Once your register at http://thetipsypaintbrush.com/calendar/ and submit a picture of your pup, the artist will create a sketch for you to paint! Leading up to the painting class we will be hosting more fun filled St. Puppies Day festivities! Silent auction from 5-10pm, then move to a photo booth session with Marta Ruela from 5-7pm, begin the St. Puppies Day costume contest at 6:30 and finally, the paint your pup class with The Tipsy Paintbrush from 7-10pm. We will have $3.50 select draft beers, $5 Irish breakfast shots, $5 wicked leprechaun cocktails and Greek Eats Food Truck will be out front! Plus t-shirts, koozies, stickers and other goodies for sale. 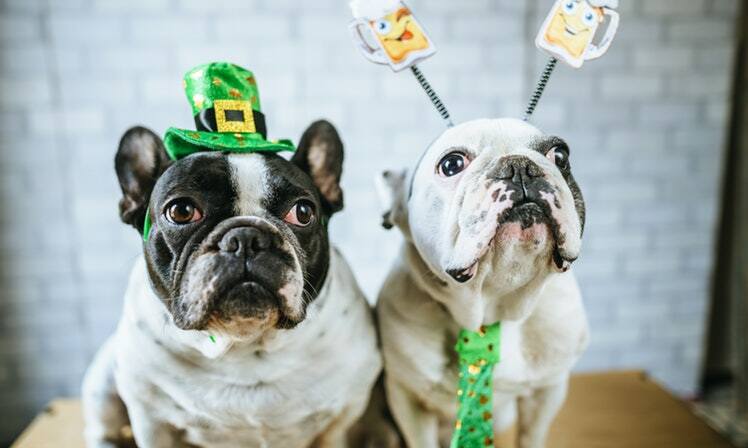 Bring your St. Puppies Day spirit and make sure you and your pup are wearing lots of GREEN and ORANGE….BIG prizes for the best dressed dog! Mark your calendars and invite your friends to come out and support a great cause! Can’t believe its already been 2 years!!! Come celebrate with us. We will have LIVE MUSIC, TONS of great drink specials, a FREE Photo Booth for you and your pups, Boarding and Daycare specials as well as lots of free giveaways! Live Music from John Sullivan & Friends!! More details to come soon but be sure to mark your calendars early for the biggest party of the year!